Signage on a stunning new showroom has helped ensure Scholar Green based Wharf Plumbing makes a great first impression. 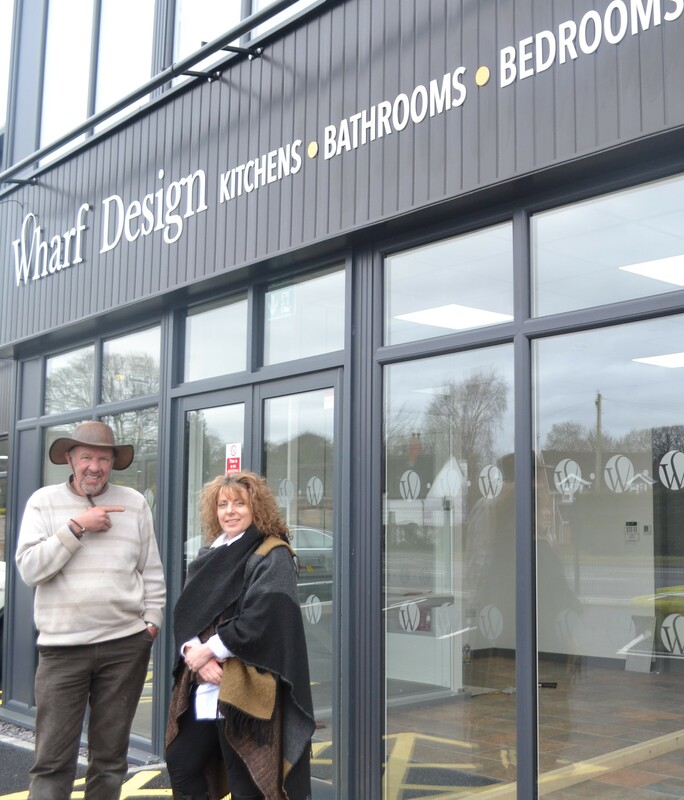 Wharf Plumbing has completed a major investment in an impressive new showroom and plumbing merchants on the A34 Congleton Road. To ensure the building stood out they consulted Mow Cop based graphic design business eyefourdesign to project manage internal and external branding and signage design. “This is a landmark building in a village setting and it was important to get the branding right,” said Lisa Gilliver of eyefourdesign. 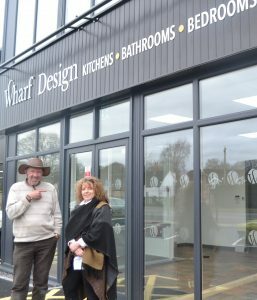 The new development, which combines a downstairs plumbers merchants with an impressive first floor bathroom, kitchen and bedroom showroom opened for business for the first time over Easter. Kevin Oliver, of Wharf Plumbing said: “We are delighted with the new look. Lisa worked hard to ensure her design ideas fitted the fresh, new look we wanted for our new headquarters and became an invaluable part of the design and construction team. Established in 1970, Wharf Plumbing is a family business providing expert advice and a full range of plumbing products, DIY product and paint to the trade and public. Experienced graphic designer Lisa Gilliver founded eyefourdesign in 2006. The company offers a full design service for business, with experience in creating striking branding for signage and logos, websites and company vehicles.